As women, men, peasants, smallholder family farmers, migrant, rural workers, indigenous, and youth of La Via Campesina, we denounce climate smart agriculture (CSA) which is presented to us as a solution to climate change and as a mechanism for sustainable development. For us, it is clear that underneath its pretense of addressing the persistent poverty in the countryside and climate change, there is nothing new. Rather, this is a continuation of a project first begun with the Green Revolution in the early 1940’s and continued through the 70’s and 80’s by the World Bank’s Poverty Reduction projects and the corporate interests involved. These projects, such as the so-called Green Revolution, decimated numerous peasant economies, particularly in the South, to the extent that many countries, like México for example, that were self-sufficient in food production, became dependent on the North to feed their population within a short couple of decades. 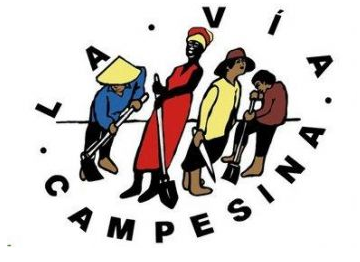 Please read the Via Campesina’s statement here.